Lock in a great price for Antares – rated 8.4 by recent guests! Superb location near Furi Gondola Station. Very comfortable hotel--old Swiss charm everywhere--wonderful staff who were very kind and helpful. Definitely would go back in a heartbeat. Location is right near the gondola. Staff was very accommodating. Stored our luggage after checkout while we skied. Even offered us espresso after we checked out. We felt completely at home at this hotel. Not only did they upgrade us to a corner room with a beautiful view of the Matterhorn, we were welcomed with a scrumptious fruit platter, and our down comforters and pillows were fluffed to perfection like clouds. The location was perfect - we could be at the slopes in two minutes. We will definitely be back! Gorgeous breakfast, very close to the tracks (effectively ski in ski out, rare in Zermatt), very friendly and helpful staff that organised a comfortable & reliable pick-up at the railway station. Hospitality of staff was outstanding; location is very close to ski lifts and restaurants; sauna ands spa, complimentary; great views of the Matterhorn from our rooms; breakfasts were excellent. Perfect small Swiss ski hotel in best location of Zermatt. Location, location, Location! Perfect spot with amazing view of Matterhorn. We were just steps away from the ski lift so it made it super easy for us to go to mountains and ski .Staff were super friendly and Helpful and lots of sunny blue birds to ski. Loved it . The location is spectacular. There is a good variety of breakfast items. The view of the Matterhorn was spectacular from our room. We were upgraded to the room with Matterhorn view and it was great! The staff is very friendly as well. Place with a view! If you are looking out for Mattarhorn, this is the place you can see it 24/7. Watch the first ray of sun reflecting off the horn at the comfort in your room. Mr Marcel is the friendliest staff you will ever encountered. Very polite and make sure you will be completely take care off. Antares This rating is a reflection of how the property compares to the industry standard when it comes to price, facilities and services available. It's based on a self-evaluation by the property. Use this rating to help choose your stay! Hotel Antares in Zermatt offers scenic views of the Matterhorn and the surrounding mountains. The Klein Matterhorn Valley Station from where you can reach the Matterhorn Glacier Paradise is 350 feet away. 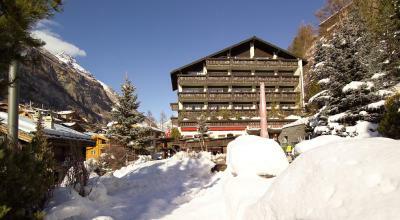 The hotel is an ideal starting point for skiing and hiking tours. 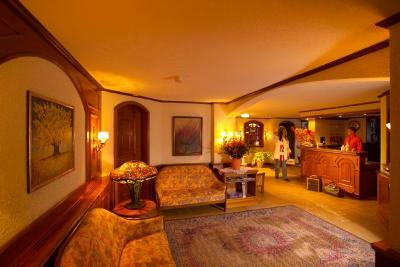 The hotel's spa and wellness center is a great place to relax after a day of skiing or hiking. Fine cuisine including Italian specialties is served in the restaurant or on the sunny terrace, and the English Bar or the Sky Club invite you to spend unforgettable evenings. WiFi is available free of charge in the entire hotel. When would you like to stay at Antares? Decorated in warm cherry wood, superior rooms offer a wonderful view of the Matterhorn. This room has a north-facing balcony and free WiFi. Please note that this room does not offer views of the Matterhorn. This single room has a north-facing balcony and free WiFi. This triple room features a balcony with views of the Matterhorn and free WiFi. House Rules Antares takes special requests – add in the next step! One child from 6 to 12 years is charged 60 % of the room stay per night and person in an extra bed. One older child or adult is charged 70 % of the room stay per night and person when using existing beds. Antares accepts these cards and reserves the right to temporarily hold an amount prior to arrival. Zermatt is a car-free town. Visitors must leave their car in Täsch and take a train or taxi to Zermatt. 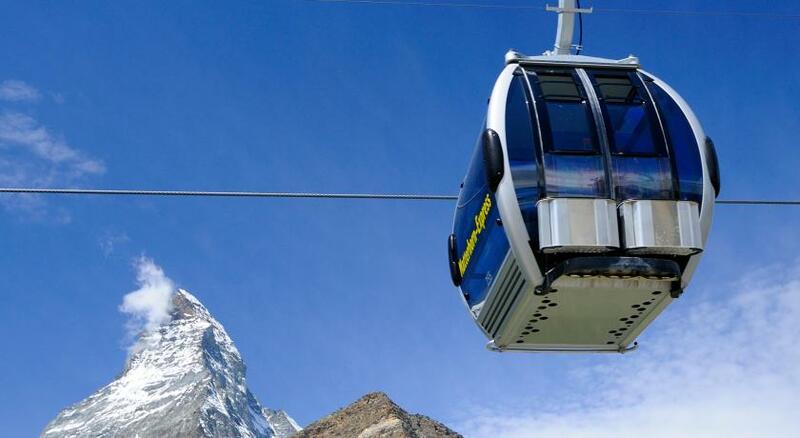 Guests can call the hotel before arrival at Zermatt and be picked up from the train station for an extra charge. Please note that the reception is only open until 22:00. Later arrivals are not possible. Good breakfast, well placed to the ski lift. No complaints--it really was outstanding. Will need a little walk to town, but this can be solved with hiring the in house driver at 10 CHF per ride. Will recommend to arrange this before you arrived and back, especially with the big luggages. Everything was perfect, and we got so surprised that we got a free upgrade room with the balcony facing Matterhorn. All the receptions people are absolutely friendly and warm hearted! We definite look forward to meet here again! As with most hotels, the WiFi is slow and throttled; so don't expect to download a great deal. A spa is ok, but I wish it had a Gym. When you're planning on snowboarding/skiing on a mountain, you want a place to do all your stretching and/or training both prior to going up, and a warm down after a day on the slopes. My primary reason for selecting this hotel over any others, was its proximity to the lifts. In that respect it didn't disappoint! less than a 1 minute walk from the doors to the lift. The staff were all very friendly and helpful. Great breakfast. The hotel shuttle from the train station should be free of charge. Paying extra for this seemed a little bit cheeky. 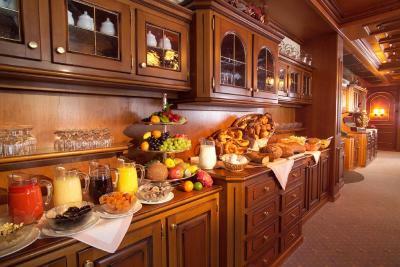 Other hotels in Zermatt and Saas Fee offer this free of charge. Absolutely awesome location for the slopes. Comfy beds, clean and high quality bathroom. Breakfast was plentiful and very tasty. Wifi was poor. Could not plug the water heater, it needed an adaptor that was borrowed to the staff with a 20CHF deposit! very good location, very helpful and nice staff, sauna is nice and appreciated !